Studio apartment in the row house in the center of Saariselkä. Upstairs studio in the 2-storey row house. Living room, kitchennette, sauna and shower/toilet. Renovated in 2014-2016. Built in 1999. 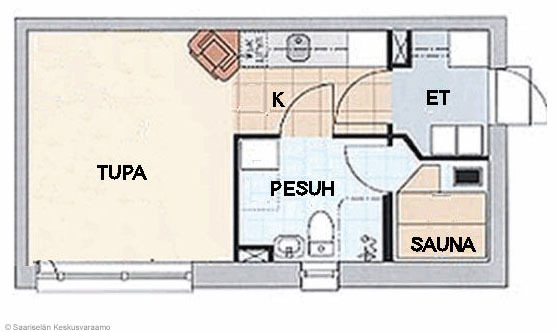 Size 25 m².